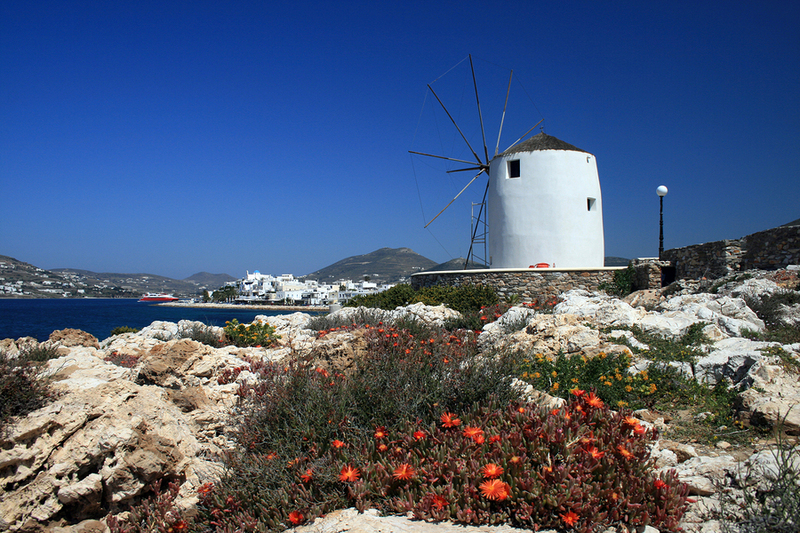 Have you ever imagined yourself on a yacht charter sailing to the Greek Cycladic Island of Paros? 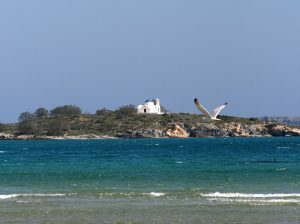 What better place to go to relax and enjoy yourself then on this Greek Island when cruising on a crewed yacht charter. This wonderful island offers various scenic locations such as the Bay of Parikia at sunset, and the Karstro Fort overlooking the Bay of Kolimbitres. 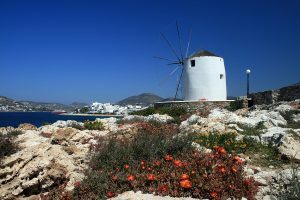 And when visiting the Greek Island of Paros, you can explore 120km of coastline enjoying various lovely anchorages on your yacht charter cruise. In Ancient Times, this was a bustling island, and especially well known as the location for mining the fine white Parian Marble. Ancient abandoned quarries still litter the island. Praxiteles, the famous sculptor of the statue of Aphrodite, which once was housed in the city of Knidos, often used Parian Marble. Around 167-330 AD activity on the island began to decline; however, at the same time Christianity on the island flourished, and the Panagia Ekatontapyliani Church in the town of Parikia was built, supposedly by Saint Helen, the mother of Constantine The Great, the Holy Roman Emperor . Paros came under Venetian rule in the 1200’s; however, suffered from constant pirate attacks. Fort Naoussa, the ruins of which still head Naoussa harbor and are a famous island landmark, was built to protect the island from pirates in the 1400’s. None the less, in 1537 the island was destroyed in a devastating pirate attack led by the famous pirate Barbarossa. The island recovered only for the people to suffer again during World War II. In 1970 the island once again began to flourish, with the new period of growth and development based on tourism, that we still see today. Paros is known for lovely beaches with golden sand, lapped by beautiful clear waters, and is a great location for windsurfing and other water sports. From time to time, this island has held the Windsurfing World Cup Tournament. With such a strong focus by the islanders on windsurfing, this could be a great location for a windsurfing lesson when stopping in on your yacht charter. Paros is also known for fine dining, with many tavernas located on the island from which to choose to sample delicious local Greek Cuisine. 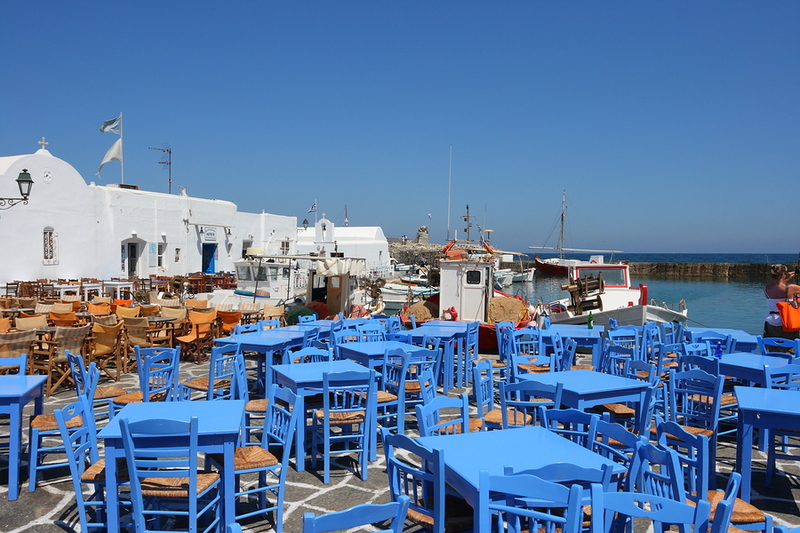 Everyone is welcome on this friendly traditional Greek Cycladic Island unchanged by time. 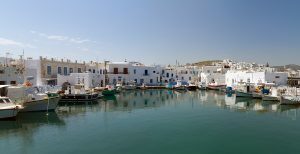 So bring your friends and family ashore when visiting Paros on a crewed yacht charter through the Greek Cycladic Islands.